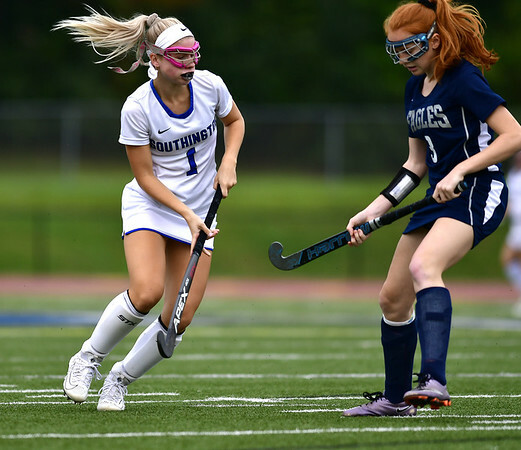 NEW BRITAIN - There will be only one area team competing in any of the field hockey state tournaments this season: Southington. The Blue Knights learned their seeding Friday after the CIAC announced the postseason brackets. Southington (7-8-0-1) earned the 17th seed in the Class L tournament and will travel to No. 16 Fairfield Warde (7-8-1-0) on Monday for a qualifying round matchup, which is set to start at 4 p.m. The winner of that game, however, will not have an easy first-round matchup on Wednesday, with top-seeded Cheshire (16-0-0-0) waiting for a 3 p.m. start. Posted in New Britain Herald, Southington on Friday, 2 November 2018 21:59. Updated: Friday, 2 November 2018 22:02.